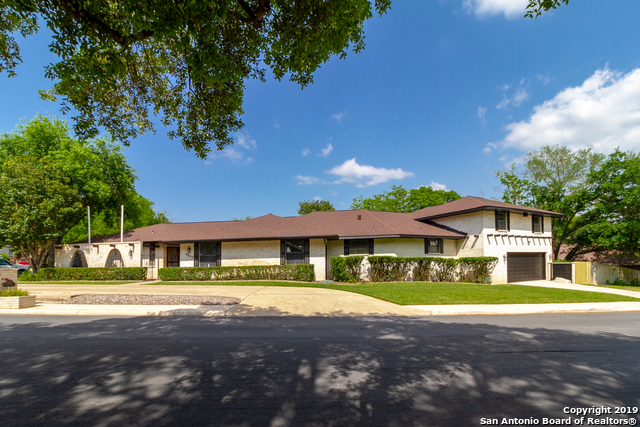 All Windcrest homes currently listed for sale in Windcrest as of 04/22/2019 are shown below. You can change the search criteria at any time by pressing the 'Change Search' button below. If you have any questions or you would like more information about any Windcrest homes for sale or other Windcrest real estate, please contact us and one of our knowledgeable Windcrest REALTORS® would be pleased to assist you. "Magnificent home with pool recently renovated for your family. Enter into an exquisite family room adorned with cathedral ceiling and chandeliers. Natural light pours in from poolside views. Five bedrooms, designer master bath with separate vanities, home office, and outdoor retreat with pool and covered patio ideal for summertime entertainment. 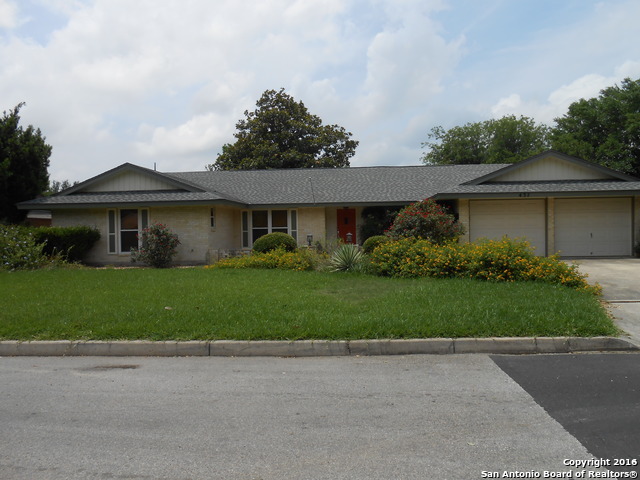 New: roof, tile and carpet throughout, cabinets, granite counters, fixtures, appliances, lighting, and paint. Mature landscaping complete with spri"
"4 bedroom 3 full baths new 30 year roof, in law-suite, sun room , corner lot on cul-de-sac 3 car garage. 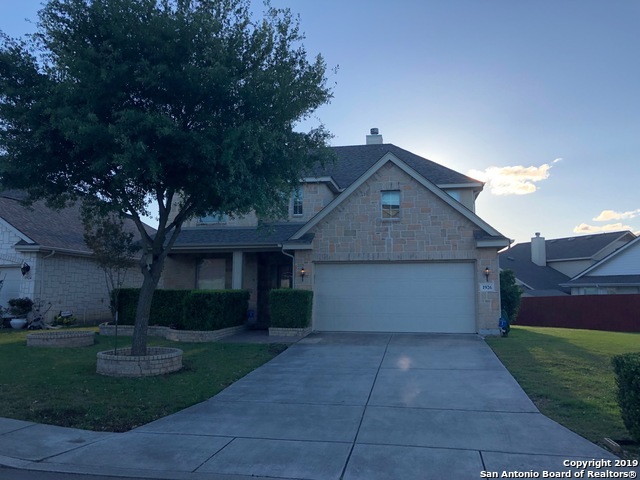 Travertine tile throughout the house, dark hardwood floors all the bedrooms , double vanities, stainless steel appliances w/ back splash, granite counter tops. Open floor plan vaulted ceilings, recessed lighting, wet bar, Huge Master, large rooms, sky light and camera system, Jacuzzi Tub, his and her closets, tiled separate shower. No city taxes/low taxes, No HOA fees." "This is the perfect place to call home, with two master bedrooms, open floor plan, multiple fireplaces and big windows with views of the private courtyard and large corner lot with mature trees. This home has it all from an open floor plan to tons of updates so be sure to schedule your private tour today and see your new home." "Spacious & sophisticated home offer great style & dazzling appeal! The interior features impressive details found throughout and include beautiful wood floors, open floor plan, multiple living areas to include a game room & media room, two dining areas, exceptional kitchen with granite, guest suite downstairs, and spacious master suite. 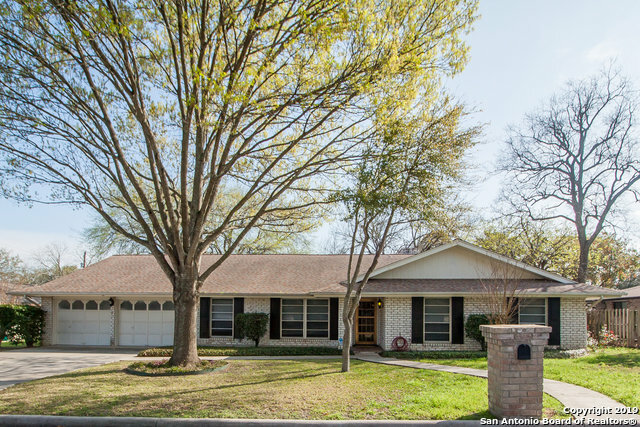 Set in a lovely neighborhood this home offers ample room and is complete with a covered back porch, privacy fence, sprinkler system, solar panel system, and a n"
"Beautiful, updated home located on a large corner lot with mature trees in Windcrest. This house features fresh paint inside and outside. New flooring throughout the house. Kitchen completely redone with new cabinets, granite counter tops, and new appliances. Bathrooms updated with new vanities, quartz counter tops, and new plumbing fixtures. Updated doors, hardware, and fixtures. New roof. Florida room overlooking a large backyard. Oversized garage with extra storage room. Move in ready!" "Stunning recently updated living and dining combo. Double oven and granite. Huge open floor plan. 3/2 bath with updated Master shower. Small Florida room over looking huge yard and large patio that could be used as Sports Court. The master bedroom sports a sitting room. The office or flex room could serve as fourth bedroom. Recently added covered patio and replaced roof in 2016.Replaced interior Hvac unit 9/2018"
"WONDERFUL WINDCREST HOME WITH DUAL MASTERS OR MOTHER IN LAW SUITE! 4/3/2 IN BEAUTIFUL WINDCREST. MAIN MASTER IS HUGE WITH LARGE BATHROOM AND SITTING AREA WITH ACCESS TO LUSH BACKYARD. FAMILY ROOM WITH HIGH CEILINGS AND FIREPLACE. SPACIOUS KITCHEN OVERLOOKS FAMILY ROOM. TILE AND NEWER CARPET IN ALL THE RIGHT AREAS. MUST SEE TO APPRECIATE. CITY OF WINDCREST AMENITIES, INCLUDE PONDS, PARK, CLUBHOUSE, WALKING TRAILS, SPORTS COURT, GOLF COURSE, AND NO HOA!" "Updated home on over-size cul-de-sac w/pool*18 stone tile floor in kitchen,living and formal*Bright/open floorplan is great for entertaining*Eat-in Kitchen w/granite counters, updated cabinets, butler pantry, undermount sink, tile backsplash, stainless appliances*Fireplace w/slate surround*Granite vanities and picture frame mirrors w/updated tile surround in both baths*Updated lighting and plumbing fixtures*Expanded deck w/planter boxes overlooks beautiful backyard*Short walk to City Park w/ligh"
"Stunning home in the well established Windcrest Neighborhood. Awesome open floor plan with 5 bedrooms (2 master suites) and 3 full bathrooms. 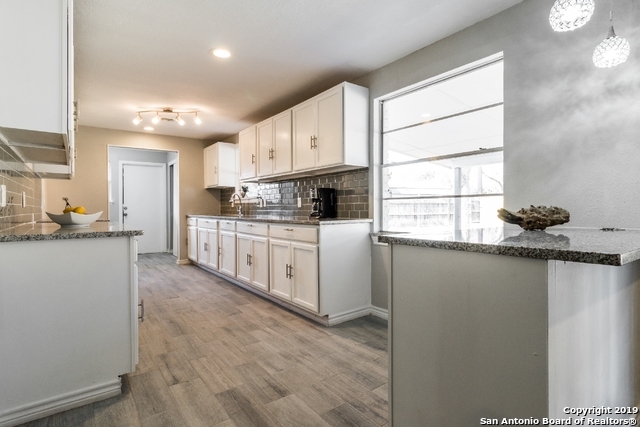 This home has been fully remodeled and move in ready. Tons of upgrades! Make your offer today this one will not last long." "Windcrest Jewel on .37 lot with an In-ground Pool/spa near golf course! 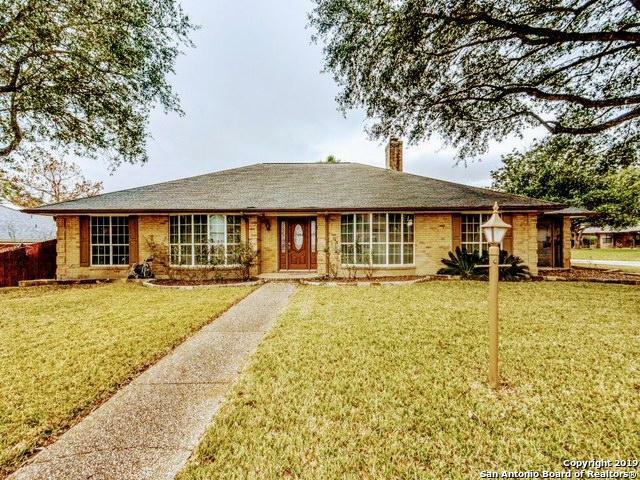 Amazing potential in a very desirable area, a total of 4 bedrooms, tile and wood floors throughout, recent roof, new water heater, beautiful backyard with mature tress, storage space, Welcome to your new Home!" "Lovely garden home in gated community. Former Sitterle model. Gourmet kitchen overlooks family rm & has lots of cabinets, granite counters, gas cooking, stainless appliances & large island. Breakfast rm & separate dining. Wood floors recently installed. Guest rm w/bath + a study (or 3rd bdrm). Upstairs bonus rm., Luxury master bath. Roof replaced in '17. Water softener, surround sound. Custom wrought iron gate & fence backs up to neighborhood park. Owner has invested lots of $$ in upgrades. 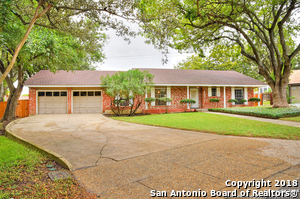 Spec"
"Beautiful Windcrest Home on LARGE lot. Enjoy the vaulted ceilings with great natural light throughout the home. Master downstairs with secondary beds upstairs. Large loft upstairs is flexible with extremely large closet. Owner says the original plans were for a second master but they changed it to a loft. Kitchen has granite with 48 cabinets. Nice deck off the back to enjoy those summer BBQ's. Come take a look today." "In the neighborhood known for its holiday lights! Affordable Windcrest with a pool! - Transferring to nearby San Antonio JBSA Randolph and/or FT Sam? This could be your new home! Open floor plan, separate breakfast and dining areas, loads of built in cabinetry (desk, dry bar, dining area storage) Gas fireplace, Inground pool, and a short walk to the Windcrest golf course! What's not to love? Avoid the springtime buyers' frenzy and stake your claim!" 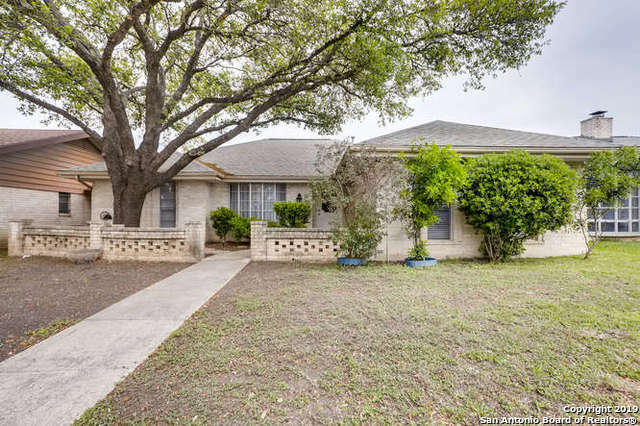 "Comfortable ranch w/ mature shade trees & neat landscaping. Neutral color scheme ready for your personal touches. Front room offers plantation shutters & ceiling trimmed in crown molding. Inviting kit featuring gas cooking, brkfst nook & plenty of cabinets for storage. Family area showcases built-ins, frplc w/ hearth, ceiling fan & wood flooring, plus an open space to the additional Florida rm. Large master bdrm w/ full bath. Relaxing backyard w/ shed, patio, & room for a garden. 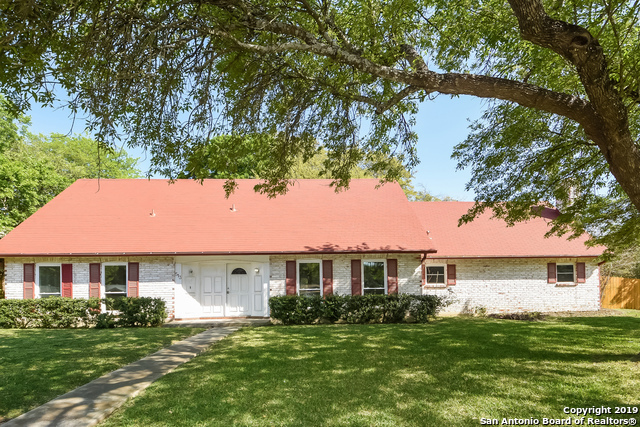 Fresh paint & r"
"Wonderful one-story, located on a 1/3 of an acre lot in the established neighborhood, Windcrest. This 4 Bedroom 3 full Bath with an office has been beautifully renovated! Open floor plan, cozy fireplace, gorgeous floors & counters and a huge backyard to name a few! Windcrest Golf Club. North East ISD. Do not miss out!" "There's room for everyone in this Winnbrook Estates stunner! You'll find soaring ceilings, an office downstairs & a sprawling gameroom upstairs! Bedroom 5 doubles as a home theater! There are upgrades galore - including gorgeous tile, granite counters in the kitchen/baths, & Travertine in bath 2! Head out back & relax under the pergola, overlooking your lush low maintenance yard! Walk to the community park/playground, only 1/2 block away! WOW! A home this spectacular won't last long, better come"
"This Windcrest two-story offers a den, a patio, and a two-car garage. Upgraded features include a new roof, fresh interior paint, new carpet in select rooms, and new vinyl flooring. This home comes with a 30-day buyback guarantee. Terms and conditions apply." "A genuine must see! Modern and updated 3 bedroom, 2.5 bath home with 2 car garage in a quiet and very well kept residential area. Interior features include beautiful 42 maple cabinets, stainless appliances, granite counter tops, Pergo flooring, roof 1.5 years old and more. 1/4 + acre lot with mature trees, privacy fence, covered porch, landscaping and established yard. Very short walk to golf course, police department, fire department. 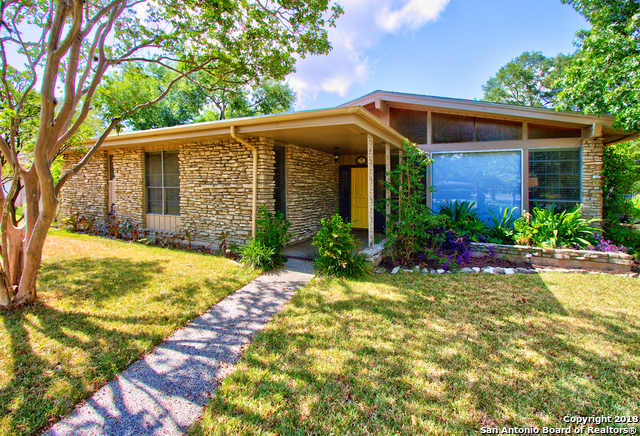 FSH and RAFB are each a 10 minute drive Call for your appoin"
"Gorgeous 3Bed / 2Bath one-story home located in Windcrest. This amazing home welcomes you in w/an open floor plan & high ceilings. Beautiful carpeting, wood, & laminate floors are throughout the home along w/large windows that provide abundant natural light. Just off the kitchen & dining area is the family room featuring built-in shelves & gorgeous fireplace. Spacious backyard features a large patio that doubles as a sun room and is perfect for entertaining. Don't miss out on this stunning home!" "This Windcrest one-story offers a porch, a fireplace, den, gazebo, a walk-in closet in the master suite, and a two-car garage. Upgraded features include fresh interior paint." 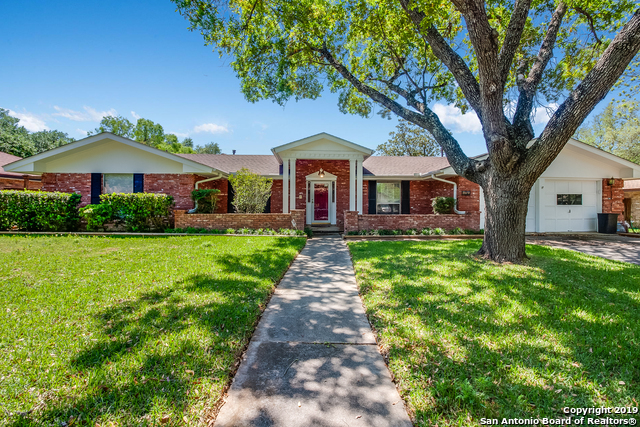 "Lovely single story, 4 bedroom 2.5 baths home in Windcrest. 2 living areas & 2 eating areas highlight this partially renovated home. Come put your finishing touches & call it 'Home'! Enjoy the shade of the large oak tree in the backyard or avoid the elements in the 23 x 12 sun room w/sliding door. Home is updated w/new vinyl flooring, new carpet & freshly painted interior. Roof installed 2017. Mature trees & landscaping surround this home. Easy access to I35, Rackspace & Ft Sam Houston. Don't mi"
"Beautiful move in ready 1 story home in Windcrest. Spacious 3 bedroom, 2 bathrooms w/ lots of upgrades. Upgrades include: new flooring in all bedrooms, bathrooms. Master bath: double vanities, walk in closet, & stand up shower. Upgraded kitchen includes granite countertops, cabinets, wine rack, & stainless appliances. Vaulted ceiling living room with built in cabinets and a gas fireplace, great for the perfect family gatherings on holidays. Separate dinning with chandler. 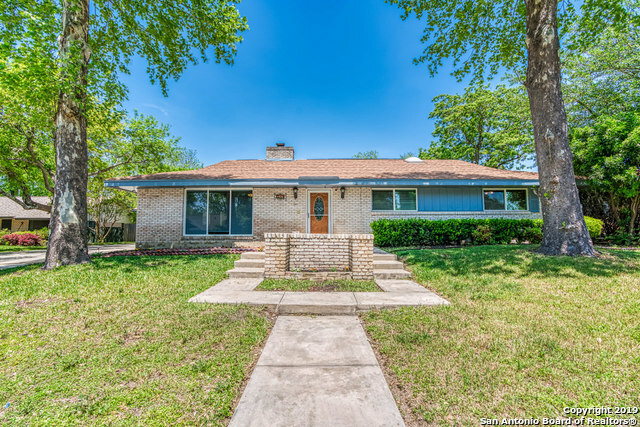 Schedule your showing t"
"This 70's Classic offers 3 beds, 2 baths with updated counter tops, two eating areas & 3 living areas. 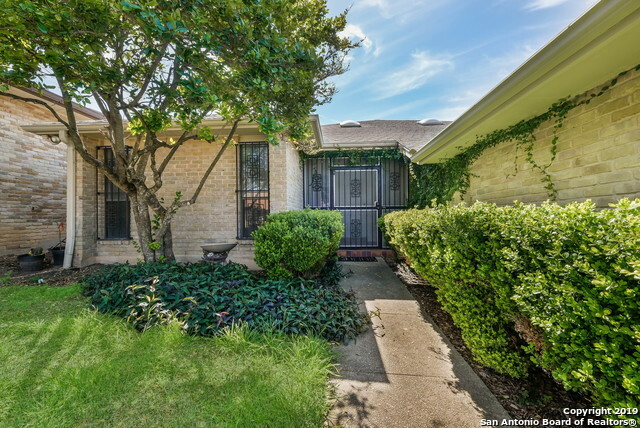 Well maintained laminate, wood, & tile flooring throughout. 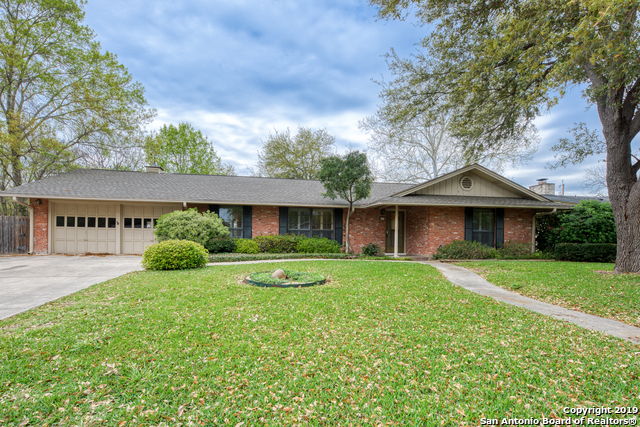 Enjoy the formal living & dining plus large family room w/ vaulted ceilings & beautiful wood beams. Master Suite boasts large walk-in closet, secondary closet & full bath. Peaceful Florida Room overlooks private, easy to maintain, back yard. Roof is 2.5 years old! Conveniently located near 410 & 35. Light fixtures in entry & dining do "